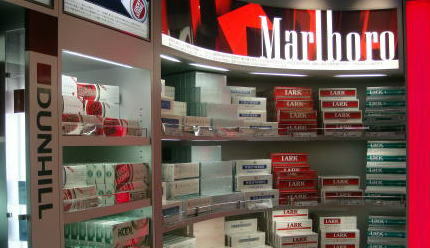 Narita Airport provides 43 smoking rooms. 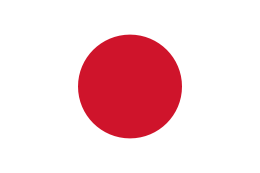 Narita International Airport is an international airport and is located 57.5 km east of Tokyo Station. 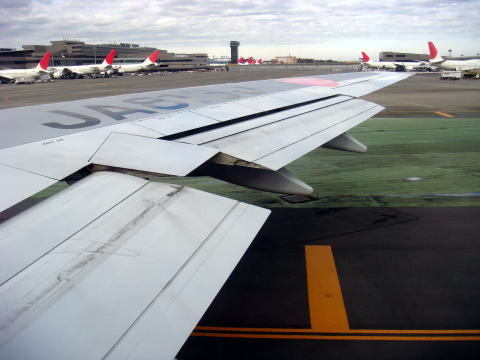 about 35,500,000 passengers in 2007. 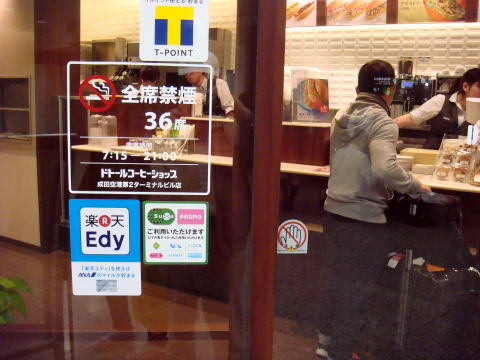 (R)★ A campaigning of noodle restaurant saying that you can freely smoke here, at the Narita International Airport. smoking inside of restaurant. 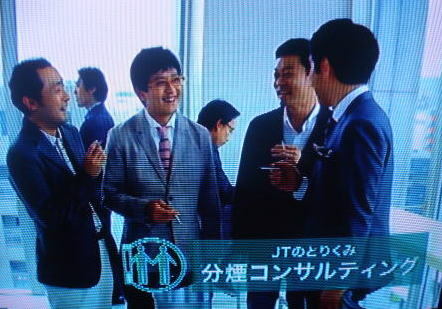 Therefore, a customer could smoke inside of a noodle shop in the airport. 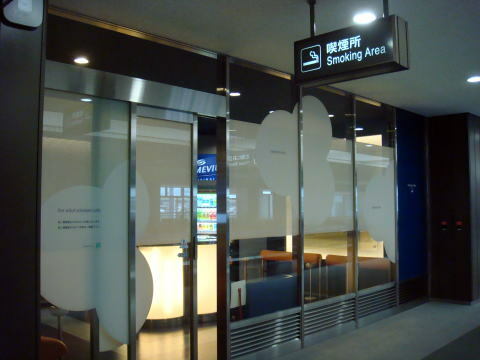 in Terminals 1 and 2 as of June 2010.
have signs indicating that they have separate sections for smoker and non-smokers. near Sapporo, Hokkaido. 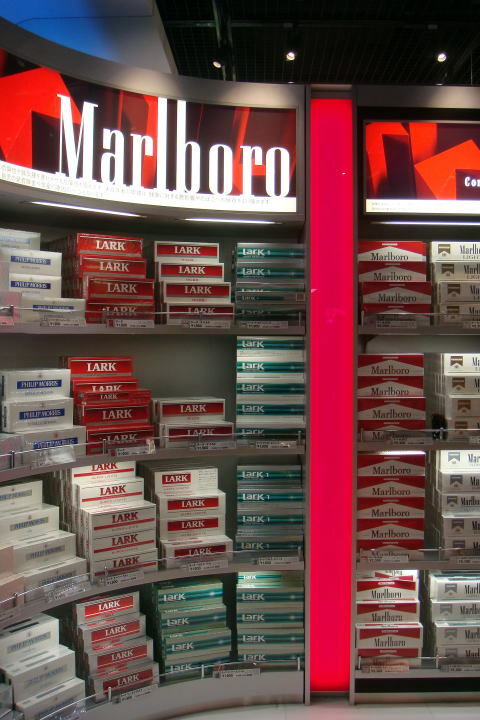 A total of 78 food shops out of 83 will become smoke-free. Source: Airport News Japan, July 25, 2010, and other. ★(L) The above noodle restaurant went out of business in June 2010. No more campaigning for smoking inside is allowed. 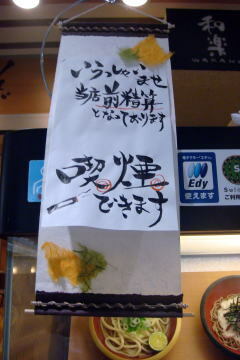 This noodle shop is now closed, and you cannot find it anymore. 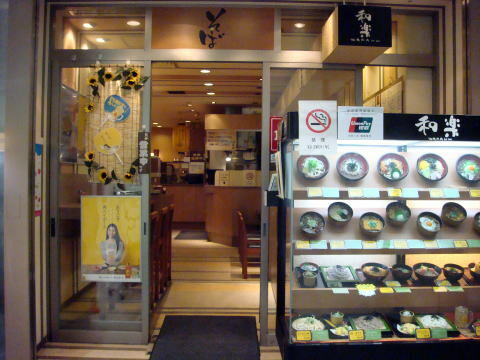 (R) A smoke-free cafe was opened at the same site of the noodle shop in which smoking was allowed until 2010. 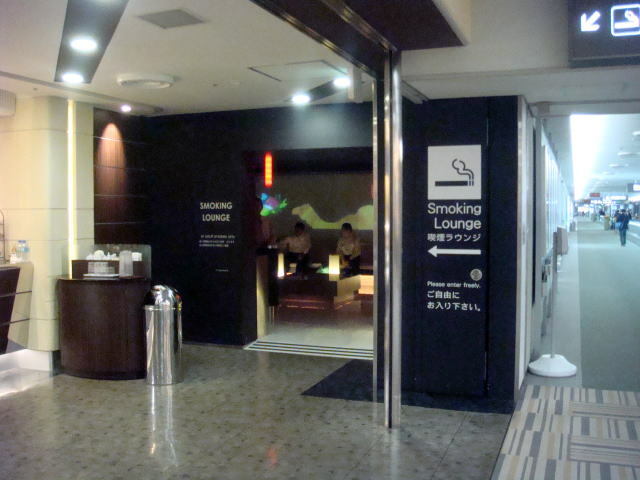 A smoking room in the Narita International Airport. 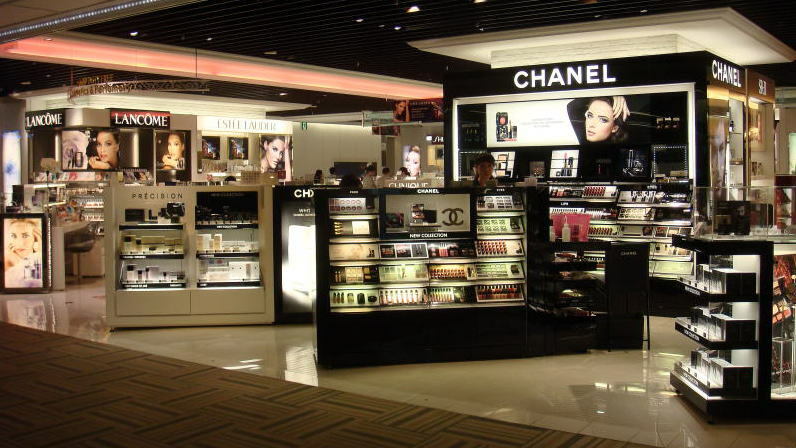 buildings in Narita International Airport, that is the same to the New Chitose Airport, Hokkaido. JT always opposes to the total smoking ban, and insists to provide a smoking-boothinside of a building. 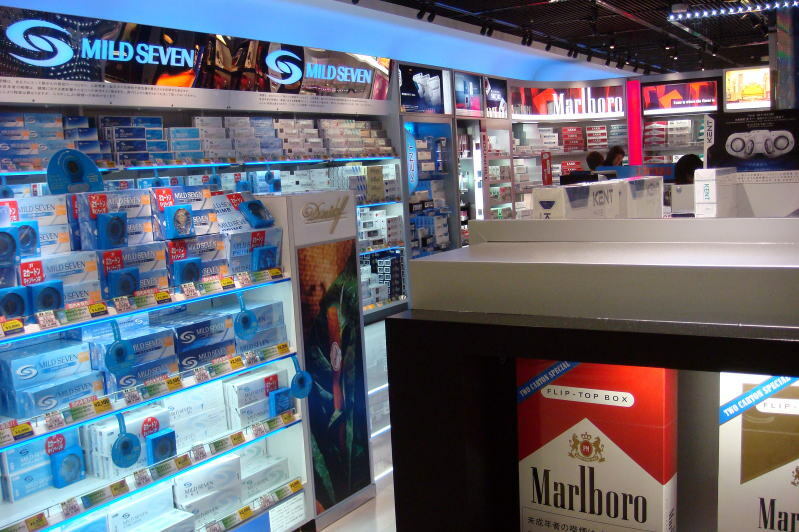 (L)Smoking areas in the Terminal 1. 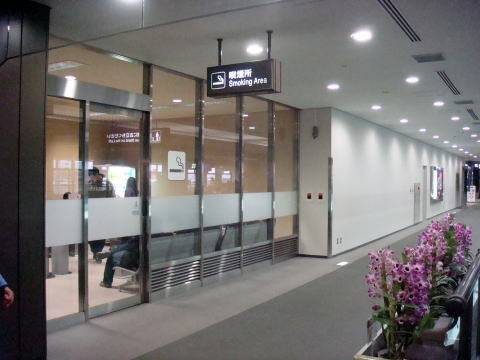 (R) Smoking areas in the Terminal 2.
buildings. 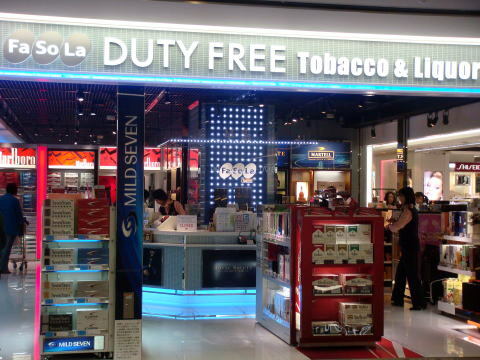 The number of smoking area is 24 at the Terminal 1 and 19 at the Terminal 2.
in the aircraft passenger space. Health warning words are written in a small letter. 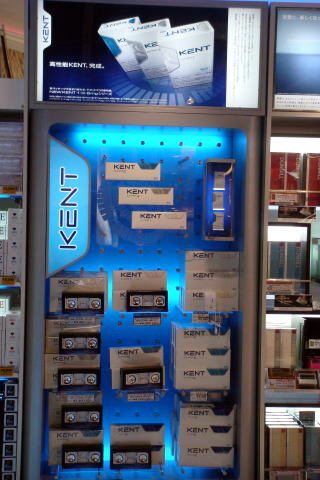 Cigarette packages are arranged attractive so that many smokers would purchase pressed by an irresistible impulse. However, they can't predict their unexpected regretful future in many years after. 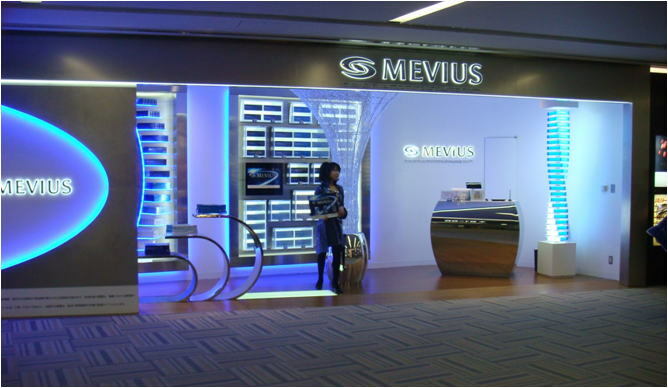 Well designed showcase at duty-free tobacco shop in Narita International Airport. to exchange public criticism of the word of 'gentle' or 'light'. 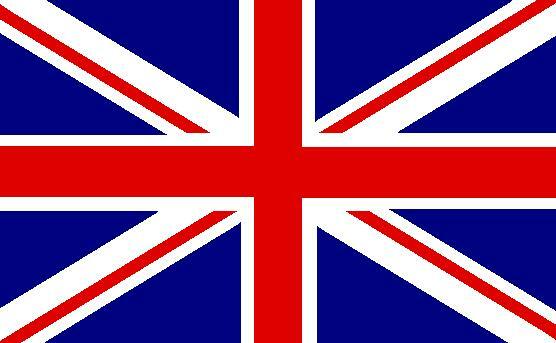 The adverse effect of the product to the human body is the totally same.